Massages help to stimulate the release of the feel good hormones that boost feelings of intimacy and affection. 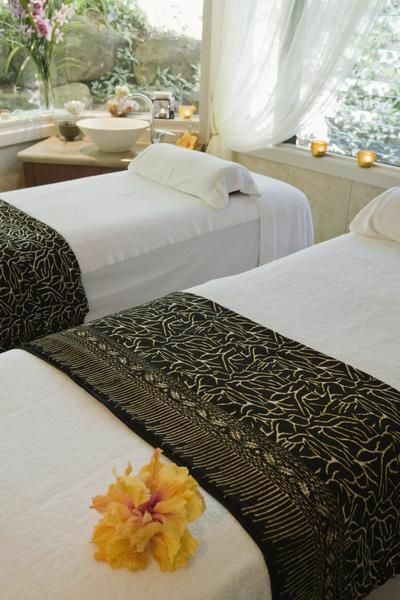 Indulging in a romantic couples massage will definitely heat up the bedroom afterwards and help couples reconnect intimately! 1) Increase feelings of affection- touching increases oxytocin, serotonin, and dopamine (also known as cuddle-chemical), which help to boost feelings of intimacy and affection. 2) Encourage bonding- couples who inject novelty into their relationships have more rewarding bonds. From playful moments and therapeutic touching, the experience is most uplifting! 3) Help couples reconnect- Many times couples have little time to spend alone without the worry of things they must do, but during a massage session, people are almost instinctually driven to let go of the past and future and turn their attention to the present moment. By being fully engaged in this activity together, couples are able to reconnect with little effort. Always make time to strengthen your relationship by continuing to date your spouse or significant other. Being in such an intimate setting will definitely help to rekindle the spark in your relationship!